Grzegorz “Greg” Dewicki is an advisor to SynEnergy. A seasoned business leader with more than 25 years of experience in delivering results, bringing fresh perspective and practical expertise leading global growth and top performance serving customers in diverse, global industries. Grzegorz has led transformation of Sandvik Mining, Conveyor Component Business, from individual local companies to one global organization servicing the needs of diverse industries and providing commercial successful innovation with a proven record in operational excellence & portfolio management with strong technical and service support driving organic growth and customer engagement. Prior to Sandvik, Grzegorz let market-focused strategies and operations in executive roles at Conveyor Services, a North and South America service and equipment provider leader to the Mining, Power Generation, and Bulk Material Handling industries. 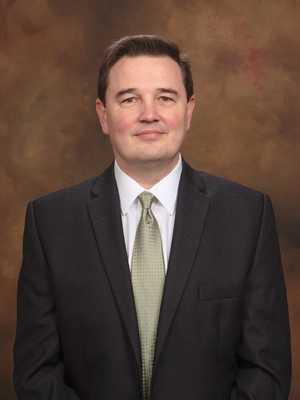 Earlier in his career, Grzegorz served in engineering, business development, and operations positions with Martin Engineering, Overland Conveyor, and Photonics Systems. He started his career while still a student at Colorado School of Mines, consulting to Frito-Lay, National Solar Energy Institute and Telecommunication industry. Grzegorz bring a strong technical expertise in multi-disciplinary engineering, project engineering/management, and leadership with practical hands on in business operations from start-ups to multinational operations. 2010 Executive Program, Stockholm School of Economics, IFL, Stockholm, Sweden. 1993 M.S., Candidate of Applied Mechanics, Colorado School of Mines – Golden, Colorado. Colorado School of Mines, Industry Research Development Committee Board Member, Earth Mechanics Inst. Author, “Everywhere, for Every Wear”, 2014, Chronicle Blog, Kennametal Inc.